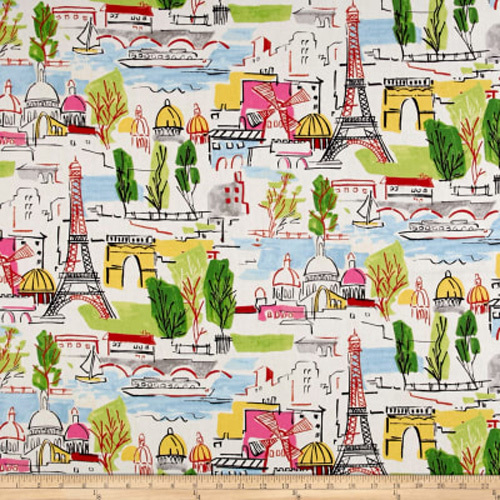 Waverly Arrondissement home decorating fabric in the Peony colorway. Paris themed print in red, green, blue, grey, and pink on an off white background. Suitable for drapery, decorative pillow covers, headboards, crafting or upholstery.